JAMES MEE is a great storyteller with a wry New England wit, who is likened to Harry Chapin and Lyle Lovett. "Likeable and lyrical" says The Boston Globe. Raised in Vermont, JAMES MEE graduated from Castleton State College and, although touring these days has taken him far and wide, he still makes Vermont his home. He has received five songwriting grants from ASCAP and has been awarded grants through the NEA for his SING-ME DRAW-ME children's music program. 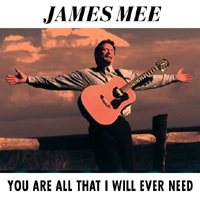 JAMES MEE has performed in over 30 states and is currently co-writing with major Nashville songwriters.